The original settlers of the Bellingham Wa Area Were the ancestors of area Native tribes were the Nooksacks, Lummi, and the Semiahmoo indians. Decedents of these tribes now operate colorful casinos offering 25 hour gaming--- from keno & slot machines to Las Vegas style table games. 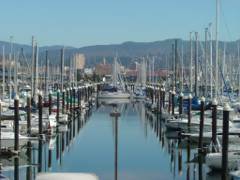 How Did Bellingham Get Its Name? During his exploration of Puget Sound in 1792, Capt. George Vancouver stopped in Birch Bay and sent out smaller boats to explore nearby waterways and coastline. He chose to honor his friend Sir William Bellingham by naming a nearby bay after him. Capt. George Vancouver never actually visited Bellingham Bay. 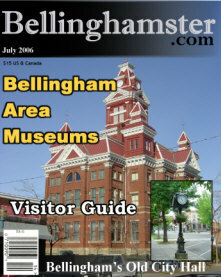 Bellingham became a city when three small area towns merged together. Fairhaven, Sehome, And Whatcom. 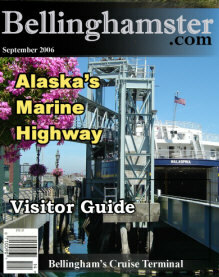 The City of Bellingham Was Born And Continues To Grow And Flourish Today. The Fraser River Gold Rush of 1858 attracted more than 10,000 people to the area and later it was lumber that drew even more people to settle in the Bellingham area. Bellingham once had trolleys running from Fairhaven to downtown Bellingham, and down Electric Avenue to Silver Beach where there was once an amusement park with a rollercoaster and Ferris wheel called White City. Other nearby cities in Whatcom county include Blaine, Ferndale, Everson, & the Dutch community of Lynden. Hours: Tuesday through Sunday, noon until 5 p.m.
Store hours may vary. All information is subject to change without notice.